Recreational Marijuana: How Can It Affect Your Health? How does marijuana affect teens? How do edibles affect you compared to smoking marijuana? How can marijuana affect your ability to drive? If you're pregnant, how does marijuana affect your unborn baby? What's the difference between recreational and medical marijuana? More than 20 million Americans on average use marijuana each month, making it the most popular street drug in the country. Nine states -- Oregon, Washington, Colorado, Alaska, Nevada, Maine, Massachusetts, California, Vermont -- and the District of Columbia have legalized recreational marijuana. Many other states are considering laws to make it legal. The number of Americans who are in favor of legalizing recreational marijuana has risen. More than 60% of people surveyed now support the idea. Most Americans don't think marijuana is harmful. Yet despite the increasing acceptance, marijuana use does have some risks. Here's a look at how marijuana can affect your health. When you smoke or eat marijuana, chemicals called cannabinoids are released into your body. One main cannabinoid is THC. Cannabinoids move from your lungs or stomach into your blood. From there, they travel to your brain and the rest of your body. THC acts on certain receptors in your brain. This creates the "high" some people feel. Is marijuana safer than alcohol, or vice versa? Each substance has different effects on the body. Here's how the two compare. In most cases, these effects have been studied in heavy, chronic smokers and drinkers, not occasional users. "Marijuana has a range of effects that vary based on the person and the potency," says Christian Hopfer, MD, associate professor of psychiatry in the division of substance dependence at the University of Colorado. The more marijuana you use, the longer you use it, and the more THC it contains, the more effects you'll feel. The effects of marijuana can be even more serious in young people. "There's a much higher risk in people whose brains are developing -- those 25 and under," says Kevin Hill, MD, assistant professor of psychiatry at Harvard Medical School and director of the Substance Abuse Consultation Service at McLean Hospital. "If you're a young person and you're using regularly, there's a whole host of problems that can occur." The ABCD study will help researchers learn more about the effects of marijuana on young people. It launched in 2015 and will follow 10,000 kids from age 9 or 10 into early adulthood to see how drugs, alcohol, and other exposures affect brain development. Smoking is probably the most common way to use marijuana. When you smoke from a joint, pipe, or bong, the heat releases active chemicals from the plant into the smoke, which you breathe in. Marijuana comes in other forms, too. Vaporization. Similar to an e-cigarette, a vaporizer heats dried marijuana and releases a vapor. This vapor contains THC and other cannabinoids, but without the toxic smoke. It is unknown if this method is less harmful to the lungs than smoking marijuana. Dabbing. In this newer delivery method, you heat and breathe in concentrated cannabis oils that contain up to 80% THC. Dabbing produces a strong high. Its safety is still unknown. Edibles. Marijuana can be baked into foods like cookies or brownies. You can also take it by mouth in an oil, capsule, or tincture. The way you take marijuana affects how quickly your body absorbs the THC and other chemicals. "It's going to be a more rapid onset of action with an inhaled product," Hopfer says. Because edibles work more slowly, there's a greater chance you'll take too much. "You take a bite of an edible product and nothing happens. Then you take another bite and another bite, not understanding that it takes time for the effects to occur," Hill explains. Eating large amounts of marijuana can expose you to dangerously high THC levels. Your risk of getting into a car accident goes up significantly after you've used marijuana. "Marijuana definitely affects your ability to drive, just like alcohol does, but you make different errors," Hill says. Alcohol makes you forgetful. You might neglect to check your mirrors or drive over the speed limit. With marijuana, you're more aware that you're impaired, so you become overly cautious. "When you're drunk you run red lights, and when you're stoned you stop at green lights," Hill says. After you've used marijuana there's no way to tell whether you're safe to drive. "We don't have the technology to test the amount of impairment with cannabis like we do with alcohol," Hill says. A breathalyzer test can tell if your blood alcohol level is over the legal limit. No test can tell whether you're too high to drive. The best advice is to avoid driving after you've used marijuana. Or at least wait a few hours before you get behind the wheel. We know the effects of alcohol on pregnancy. Miscarriage, birth defects, low birth weight, and developmental problems are possible. The effects of marijuana during pregnancy aren't as well known, Hill says. THC can also get into breast milk. It's not clear what effect this might have on a baby's brain. Some studies show that marijuana use during pregnancy can cause low birth weight in newborns. One of the biggest arguments against legalizing marijuana is that it is a "gateway" drug. The idea is that smoking marijuana might lead people to use other, harder drugs. There is a link between marijuana use and other drug use. Yet there's no proof smoking pot drives people into hard drugs. "Just because they happen to use marijuana doesn't mean they're going to use opioids in 6 years," Hill says. Drug use has many causes, including genes, exposure to drugs at home, and stress. It's possible that people who are more likely to use drugs take marijuana first because it's easy for them to get. 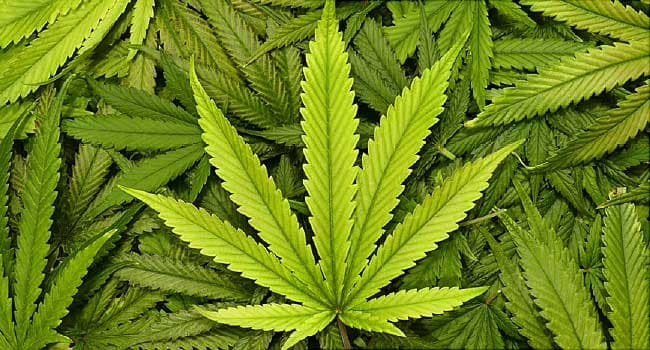 Most people who use marijuana don't go on to use harder drugs, according to the National Institute on Drug Abuse. "There really isn't a difference," Hopfer says. "Medical marijuana is just marijuana that a doctor has recommended." Both contain THC and have the same effects on the brain and body. Medical marijuana is used to treat a number of conditions including seizures, nausea and vomiting from chemotherapy, and pain. But there isn't much research into how well it works. "There's no question about it," Hill says. "Marijuana is both physically and psychologically addictive, but most people who use it don't become addicted." Around 9% of adults who use marijuana and 17% of teens will get addicted. Arria, A. Psychology of Addictive Behaviors, September 2015. Drug Policy Alliance: "How Marijuana is Consumed." Filbey, F. Developmental Cognitive Neuroscience, December 2015. Gallup: "In U.S., 58% Back Legal Marijuana Use." Hancock-Allen, J. Morbidity and Mortality Weekly Report, July 2015. Kevin Hill, MD, assistant professor of psychiatry, Harvard Medical School; director, Substance Abuse Consultation Service, McLean Hospital. Christian Hopfer, MD, associate professor of psychiatry, division of substance dependence, University of Colorado. Kuzma, E. The American Journal of Geriatric Psychiatry, October 2014. March of Dimes: "Alcohol during pregnancy." Meier, M. PNAS, October 2012. National Institute on Drug Abuse: "Can marijuana use during pregnancy harm the baby?" "Does marijuana use affect driving?" "DrugFacts: Marijuana," "Is marijuana addictive?" "Is marijuana a gateway drug?" "Is there a link between marijuana use and psychiatric disorders?" "Longitudinal Study of Adolescent Brain Development (ABCD Study)," "Marijuana's Lasting Effects on the Brain." News release, The University of Texas at Dallas. Substance Abuse and Mental Health Services Administration. : "Marijuana use and perceived risk of harm from marijuana use varies within and across states." Governing: "State Marijuana Laws in 2018 Map."